As a full service custom design firm and custom builder, it is our mission to provide our clients with custom dwelling spaces that are highly functional and follow the artist creed of un-compromised form found in our work. The Art of Dwelling is guided by the philosophy that art is not only objects that inspire us, but it is also the spaces we live in. Our passion is connecting people with functional, artistic spaces they can call home. Designing inspired and beautiful spaces that solve for both form and function takes a unique skill set. The Art of Dwelling is comprised of a team of artists, creative engineers, architects, designers, and craftsmen that are passionate about bringing your dream home to fruition. DFW Complete Outdoor Living, LLC. Jackie James is a Home Design and Renovation company in the heart of Frisco, Texas. Bonner Associates Constructors is a full service design-build firm with a dedicated, honest, and highly motivated staff of professionals committed to providing quality service to our clients. Bonner Associates was founded in 1990 and incorporated in 1995. Our staff has over 50 years of combined professional expertise. We specialize in the following areas: architectural design and detailing, landscape architectural design and detailing, general construction, remodeling, and design and construction consulting. We provide our services throughout the DFW metroplex and its neighboring counties.Our firm was born out of a desire to bridge the gap between client needs and site and building requirements. Our greatest reward is to leave our clients feeling secure and satisfied with a job well done. 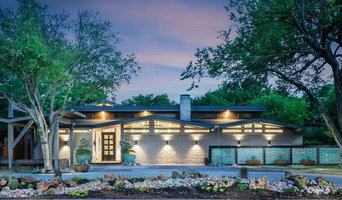 Quorum Custom Homes, a premier Dallas and Austin custom homebuilder, remodeler and interior design firm, defines the art of construction and design. 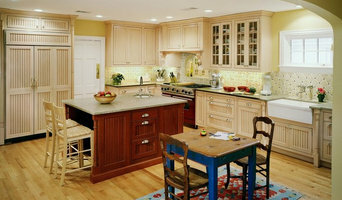 Its sophisticated and timeless design solutions are regularly featured on television and in the international media. A Quorum designed kitchen has been chosen four-times to be a regional winner in the "Best of the Best," the prestigious international kitchen design Contest Held by Sub-Zero and Wolf. The unique homes that Quorum builds, remodels and decorates look beautiful. More importantly, behind the surface lies impeccable standards of architectural construction, meticulous attention to detail. Hull Historical is known for the design, fabrication and installation of architectural millwork for private residences, country estates, and historic properties across the country. We create environments that are not only beautiful, but also timeless. We are passionate about fine craftsmanship. Our work is built to last for generations. Roger Farkash, Creative Director of TW TrainWorx is the Official Designer of Lionel Train Layouts/Displays since 2001. Roger founded T W Design in 1982 primarily focusing on design/build of theatrical stages. We can handle both residential and commercial construction. I manage trades to build something as small as a concrete patio to complete remodels and elaborate outdoor living areas. AXIOM BUILDERS is a full service construction company serving the building needs of Dallas, TX and the surrounding DFW Metroplex. If you wish to expand your home with an addition, remodel a fixer upper, or build a brand new house from the ground up, we can help. Brooke Bailey Custom Homes inc.
Jered Custom Homes is honored to be a valued institution of the McKinney community and surrounding areas. 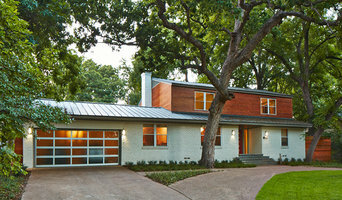 We have made a name for ourselves building historic home designs that enhance neighborhood appeal. Each family is different, so we believe each home should be different too.